Moving your website from one platform to another is a pretty big deal. Not only do you have to go through the stress of building a new website, you also have to learn how to use an entirely new platform. That said, it's sometimes worth the effort. Moving from something like WordPress to HubSpot, for example, gives companies a host of new and powerful features to enhance activities. In this blog, I'll outline why a number of companies worldwide have made the move from tools like WordPress and Joomla to more comprehensive platforms like HubSpot's CMS. The HubSpot CMS includes a feature called ‘smart content’. Smart content allows you to display different content on a web page depending on who is viewing it. Cool right? It works by altering aspects of your website and content based on a viewer's past behaviour or interests (stored in their contact record). It also takes into account a number of different factors, including: device type, location, language, referral source and demographic, to serve up different content. Using smart content, you can show specific content to specific website visitors. For example, you could show an existing customer other products or services relevant to what they purchased previously. There's plenty of ways to use smart content - and you can find out more about how to use them by clicking here. Though simple and straightforward, HubSpot is built on incredibly solid - and resilient - foundations. The HubSpot CMS is backed by an enterprise-grade Content Delivery Network (CDN). The network ensures that HubSpot-hosted websites are fast, always on and secure from threats. Updates are handled in the background so no need to worry about plugins being out of date. HubSpot also hosts its website on the same platform so users can be sure their HubSpot-hosted websites are secure too. 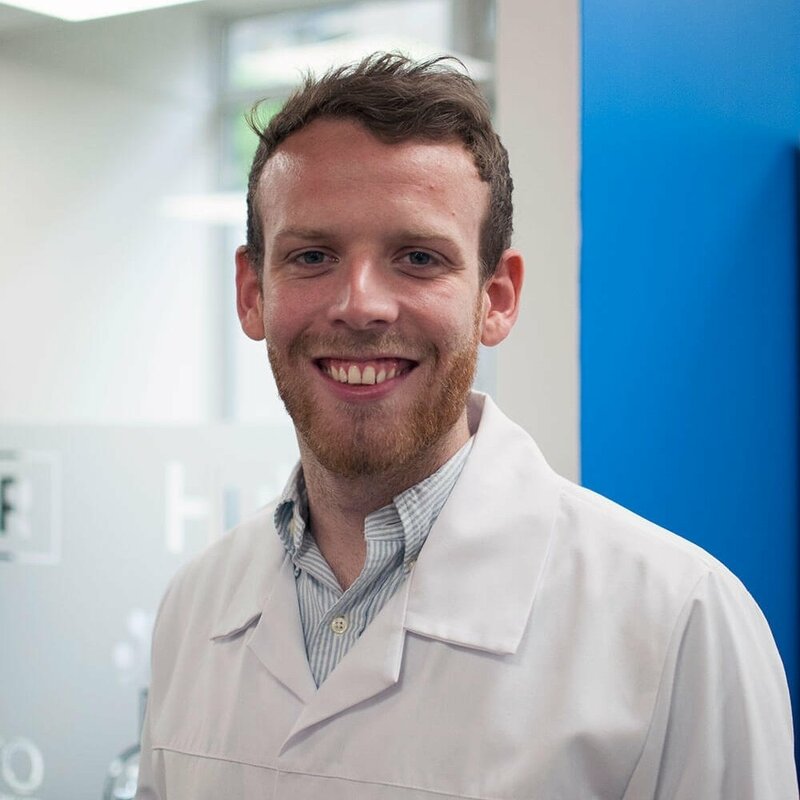 With HubSpot, you can focus on attracting, converting and closing prospects. Being found on Google is one of the best ways to convert new leads in 2019. If potential prospects are searching for a specific problem - a problem which you solve - and find themselves on your website which has content addressed to their needs, there's a good chance that they will convert. Taking this into account, making sure your website is optimised for specific search terms is vital to attract high-quality, targeted traffic. 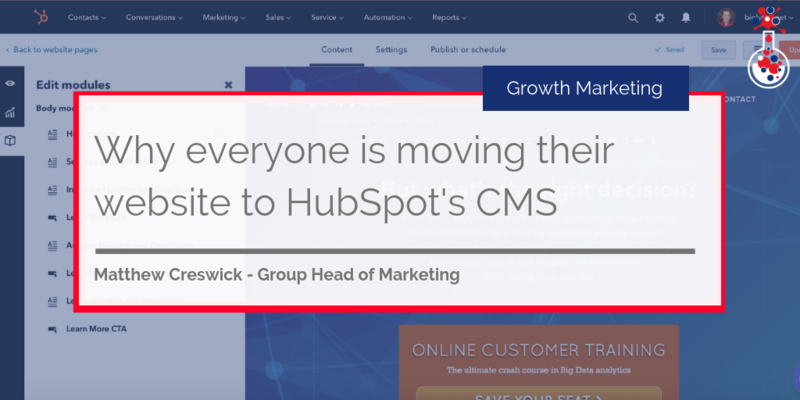 HubSpot's CMS can help. Expert SEO tools are built into the platform, helping you to ensure that all of your web pages are optimised for search engines. HubSpot doesn't just keep your plugins up to date and secure - it does much more than that. If you are using WordPress, for example, each and every plugin needs to be upgraded and managed individually. HubSpot, on the other hand, brings all of your integrations together in one place and one system for one price. Every tool is automatically updated and communicates with the rest of your HubSpot platform. With HubSpot, every tool is connected... but why is that important? Well, imagine having a sales team that - prior to engaging with a prospect - knew which of the business' web pages, blogs, eBooks and videos were viewed by that prospect? What if that same sales team could access information on when prospects last visited the website and which content assets generate the most customers? It's entirely possible with HubSpot. In HubSpot, all of this information is collected and compiled into a contact's contact record. With this kind of detail, marketing and sales teams can start to create content that actually works and drives lead generation activity. If you’re looking for a growth-driven website. HubSpot is the one. Growth-Driven Design (GDD) is all about leveraging data and analytics to continuously grow and improve your website, rather than putting it live and leaving it for two years. HubSpot gives you all the data you need to understand what works, as well as the tools to develop it progressively. Mobile phone and tablet usage is on the rise and will only continue to increase. For most businesses, this means developing a mobile responsive website. Fortunately, every web page built in HubSpot is mobile responsive. This means you don't have to worry about editing CSS classes to optimise web pages for specific mobile devices! Updates to the HubSpot product and CMS are done in the background, meaning marketing and sales teams can spend more time marketing and selling, rather than trying to download and install the latest updates. Using different tools to host images, PDFs, sales documents, videos and the like? HubSpot's File Manager allows you to host all of your files - images, documents, voice recordings - and access them with ease. And, if you're doing video, HubSpot can also host that for you. It comes with all the reporting and tracking tools you would expect from an integrated video hosting solution. Worried about your WordPress blog losing all of its SEO greatness when you move it to HubSpot? Don't worry! HubSpot has a built-in WordPress to HubSpot blog importer – how cool is that? The WordPress to HubSpot blog importer removes the need for you to sit and copy and paste hundreds of blogs into HubSpot. Just import them and the hard work is done for you. As well as being able to import content into HubSpot, you can also bulk redirect. What this means is that when you make the switch from your old website to your new and shiny HubSpot one, you can easily set up all of your redirects by uploading a CSV file with the links you want to redirect. No need to sit and sift through each page and insert redirects one by one. Testing new web pages can be a pain, especially when it comes to making changes right before the switch. To make it easier for marketers to edit web pages and actually see how those pages would look and function, HubSpot has a content staging environment which reflects the live website environment. In essence, you can build out your web pages as normal and test them as if they were live. When you're ready to make the switch, just publish your staged pages to the live production environment and HubSpot will take care of any redirects or overwriting of existing web pages. Marketers use lots of different tools, but we try to keep them to a minimum by using tools like HubSpot. That said, while HubSpot has loads of incredible tools, it doesn't try to beat other providers at what they are good at. If you're using a webinar tool like GoTo Webinar, for example, or an event tool like Eventbrite - these tools can be seamlessly integrated with HubSpot, giving you the specific functionality you need. So there you have it. You can tell we love the HubSpot CMS and we would love you to join us as another company making the most of the tool on a daily basis. If you would like to speak to our team about how you can make the most of your website, please get in touch using the button below.